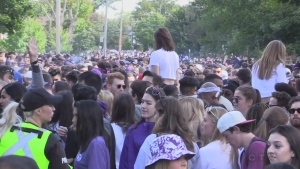 Will changing Western's Code of Conduct help reduce street parties? Taxpayers on the hook for building dept shortfall? KITCHENER, Ont. 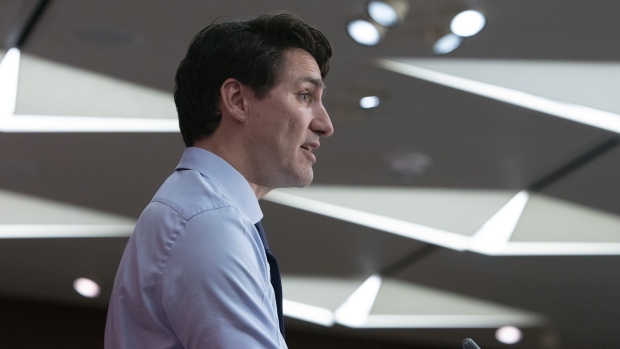 -- Prime Minister Justin Trudeau accused Ontario's Progressive Conservative government of dragging its feet on vital infrastructure spending and says the indecision endangers work for the summer construction season. Trudeau criticized Premier Doug Ford's government during a funding announcement at a tech hub in Kitchener, Ont. on Tuesday, saying the provincial Tories are refusing to work with his federal Liberals. He said his government has been patient with the province and urged it to allocate money that the federal government had set aside based on an agreement with the previous Ontario Liberals. "We've been highlighting this behind closed doors and privately to them that they really need to flow this money," he said. "I am now saying it very publicly that the provincial government in Ontario is letting down Ontarians and is going to be missing this construction season if they don't come to the table and show us what projects they want to partner on with us. Trudeau's comments mark the latest flare-up in the increasingly acrimonious relationship between the provincial and federal governments, which has seen both sides trade barbs over everything from carbon pricing to ... Ontario is expected to be a key battleground in the federal election slated to take place this fall. "The kinds of politics they seem to be playing, of not wanting to make an announcement with a federal Liberal government, is not worthy of a commitment to support the people of Ontario," Trudeau said. Last week, Ford announced a $28.5-billion plan for four transit projects in the Toronto area, but said the province would only cover $11.2 billion of those costs with the feds expected to pitch in for a share. 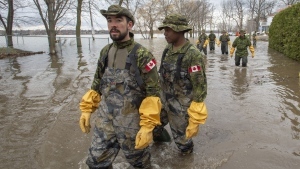 "There has to be responsibility with the federal government," Ford said. "Last time I checked, they have a lot of members where these subways are going." On Tuesday, Ontario Infrastructure Minister Monte McNaughton said the government began to review all spending commitments after taking office last summer. McNaughton said the two levels of government have been holding ongoing discussions about infrastructure funding, but slammed Trudeau for his most recent remarks. "We understand the federal government has an election to worry about," he said in a statement. "But we don't answer to the Justin Trudeau re-election campaign." In the federal budget last month, the Liberal government provided a one-time $2.2-billion windfall to help Canadian cities improve roads, bridges, highways and water systems. Finance Minister Bill Morneau positioned the funding as an end run around four provinces -- naming Ontario, Saskatchewan, Manitoba and New Brunswick -- and said it was done because those governments don't always co-operate readily with the federal Liberals. Third fatal fentanyl overdose in small town of Hanover, Ont.